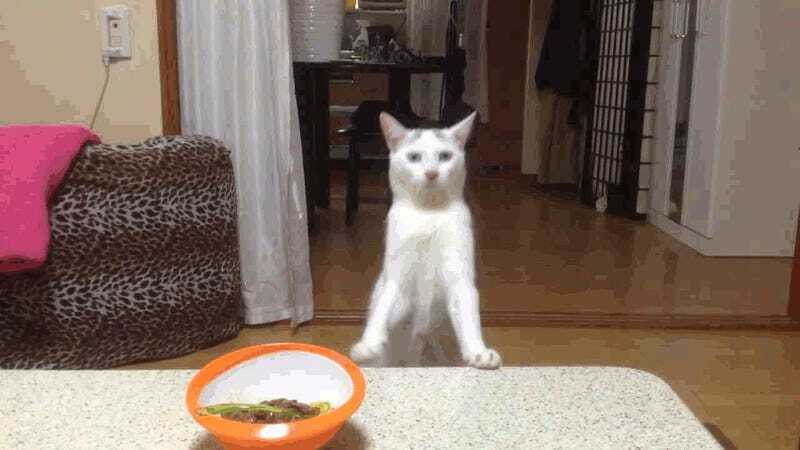 This is Momotaro, a cat whose documented response to unwanted food is a universal expression of "No. No. No. No. No." This cat has ruined my allegiance to the Nope Octopus. Here are the video source of the gif above and a much longer one with many more priceless nope moment for you to choose from.